Some effective ways to conserve energy for swimming pools is by using a solar blanket. A solar blanket is a swimming pool cover that “floats” on the surface of your swimming pool to insulate and keep minor debris from the pool.The majority of the heat which escapes from swimming pool water is lost through the surface of the pool. A solar blanket insulates the surface of the pool and retains a great deal of heat, which would normally be lost. The overall result is that the swimming pool heater is required to run much less often and for shorter periods of time, for a significant savings in energy costs – which should ultimately keep more dollars in your pocket and bring a smile to your face. Conserve resources and conserve money! system must be run to power a swimming pool cleaner, and to filter the debris out of the pool water. The filtration system will always have to be run at least once each day, however the time period that the filter is required to run is much less if the swimming pool water is clean and free of debris – again this saves money. Fortunately, Southern Californians can capitalize on Mother Nature’s abundance of solar power and natural heating and avoid the “normal” expenses of heating swimming pools found in most of the country. Although natural gas or propane gas swimming pool heaters warm up swimming pool water quickly, the cost of gas can be overwhelming in colder areas of the country where a pool heater is required to run more. A solar pool heater is another method of heating a swimming pool, which has absolutely no operating costs, is solar pool heating. Solar pool heat involves plumbing the swimming pool water through several solar heating panels which varies depending upon the size of the pool. The sun warms these solar heating panels, and the pool water absorbs the warmth as it passes through the panels. 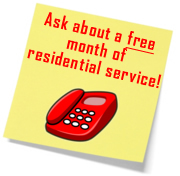 Solar panels are relatively inexpensive to purchase, and are very simple to install. With no moving parts and generally sturdy construction, solar pool heat is a great choice for any pool owner in a moderate to warm climate with a good deal of direct sunlight. This is a great option for us Southern Californians. 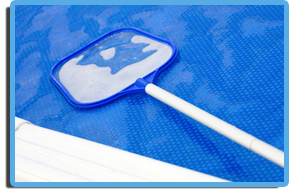 In addition to conserving energy, a solar pool cover also helps to conserve swimming pool chemicals. The more the chemicals need to work to do their job – the more quickly they will be absorbed and the more money you will spend. A solar pool cover blocks a good deal of debris that falls on a swimming pool. If a pool is left uncovered and this debris is allowed to fall into the pool as mentioned before, all of the available chlorine in the pool water works to break down the organic material in the water which eats up the chemicals. This reduces the free chlorine level, and can quickly lead to algae growth which means more chlorine and other chemicals are needed to balance the pool water, and keep it clean – which costs more money. We don’t advertise on craigslist! Another very easy way to conserve a great deal of pool chemicals is to properly maintain the pool chemical levels at all times by monitoring them a few minutes each day or week. Any person or pool owner that has even a basic amount of pool knowledge can achieve this. A relatively small amount of pool chemical adjustments are needed in the average pool if the pool is kept clean, and properly maintained. 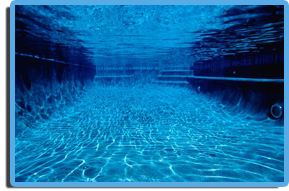 Normally, not much more than chlorine and the occasional pool shock is required to keep a swimming pool clean. If chlorine is not regularly added, or if the PH and Alkalinity levels are not kept in range, major pool water problems can occur and the dark green pond like appearance can soon follow which of course equals more money spent. Of course, once the green cloud arrives, a large amount of pool chemicals may be required to correct these water problems, and the pool may not be usable until the problems have been corrected. It is easier for a pool owner and requires less chemicals to maintain a swimming pool if it is always done right and kept up to date.